Photos: Faizal Westcott, courtesy of Urbano Project. The Anchorage Museum kicks off Hispanic Heritage month on September 15, 2018 with the opening of Librería Donceles, a new pop-up Spanish-language bookstore that will be in town until early January. 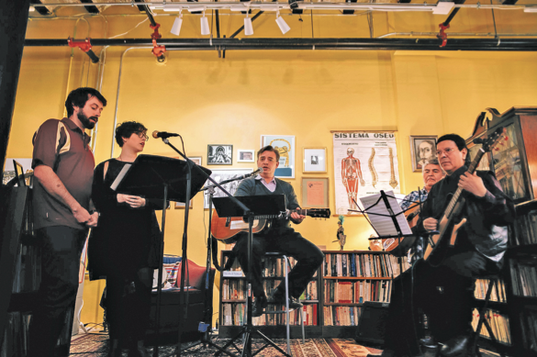 Pablo Helguera, the creator of the bookstore, is also an artist, educator, musician, author, performer, and voracious reader. 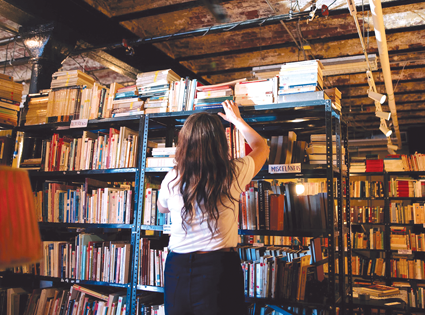 Helguera conceived the bookstore as an artistic intervention to address the scarcity of Spanish-language books in New York City, where he currently lives. Librería Donceles, which has travelled to various cities across the United States, including Miami, Phoenix, Seattle, San Francisco, Chicago, Boston, and now Anchorage, is comprised of books donated from Mexico. The project aims to create a bridge of cultural understanding, as well a platform to share the richness of Hispanic literary traditions. In an interview with the Boston Globe, Professor Alicia Borinsky, touched on the deeper resonances that can be gleaned from this project: “What [Helguera] is doing really is fostering a culture that is simultaneously an acknowledgement of the communities built by travel, by immigration, and so on—those books that people put in their suitcases when they left their country.” There are big ideas encased in this bookstore, but Helguera also wants it to feel down-to-earth: a mix between “his mother’s living room” and a bookshop in Mexico City. At nine percent of the population, Hispanics comprise a significant and growing portion of the Anchorage community. Librería Donceles offers the opportunity to engage and connect with the Latino community through language and stories.